Save the Date! Orlando Central Florida Chapter STC Banquet June 18th! As promised, we are back with the second half of the May issue, just in time for the holiday weekend and unofficial start of Summer. But for us in Orlando, summer started about 6 weeks ago. Be safe wherever your travels might take you. I am still looking for someone to take over as Editor of Memo to Members. You must be comfortable with HTML and willing to attend monthly Administrative Council meetings. If interested, contact me at newsletter@stc-orlando.org. Monthly time commitment is around 6 to 10 hours. Do YOU have an article you’d like to submit for Memo to Members? Don’t be shy… email me at newsletter@stc-orlando.org. You will get 0.5 an Active Member point for your submission. In my last message I inadvertently omitted a few names from the list of chapter members who attended this month’s Technical Communication Summit in Atlanta. Orlando Central Florida STC Chapter was well represented by chapter vice-president and president-elect Debra Johnson, Mentoring Committee co-chair Bethany Bowles, Mentoring Committee Chair Dan Voss, Nominating Chair WC Wiese, student member Matt Howard, peripatetic member-at-large Jack Molisani, Dawnell Claessen, Nan Moon, and me. If I left you out last time, please forgive me. And if I left you out again this time, please let me know so I can update the list and apologize again. Save the Date! 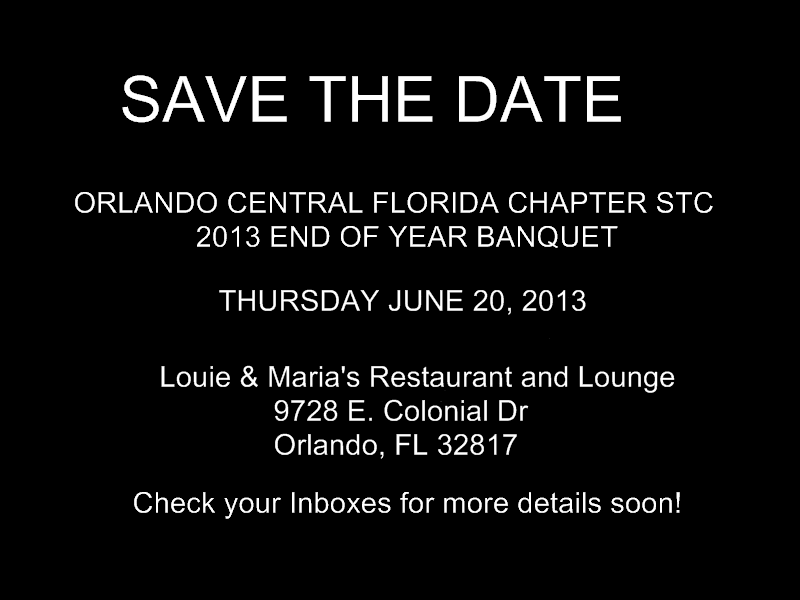 Orlando Central Florida Chapter STC Banquet June 20th! 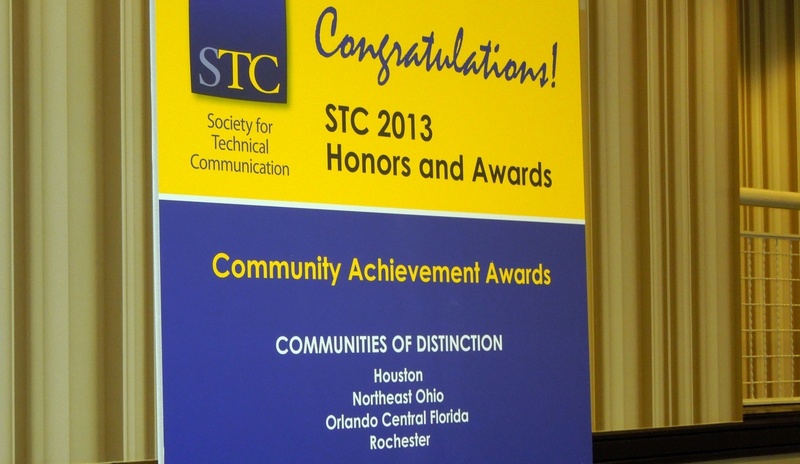 It’s good to be an STC Orlando Central Florida Chapter member. Real good. To prove it, you’d have to look no farther than the recent annual Summit, held this year in Atlanta on 5-8 May. The conference started with an extraordinary surprise for Dan Voss, who has been active member of the Community Affairs Committee and a vocal advocate for collegiate mentoring and recruitment of students into STC. Society President Alan Houser gave two President’s Awards during the opening ceremony. The first went to former Society President Ken Cook – a successful businessman with a long record of support. The second, unexpectedly but very appropriately, went to Dan. 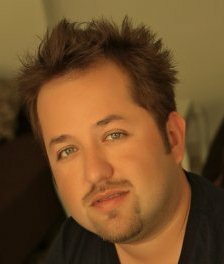 Dan’s advocacy for student engagement has provided benefits to college programs and professional communities in STC. 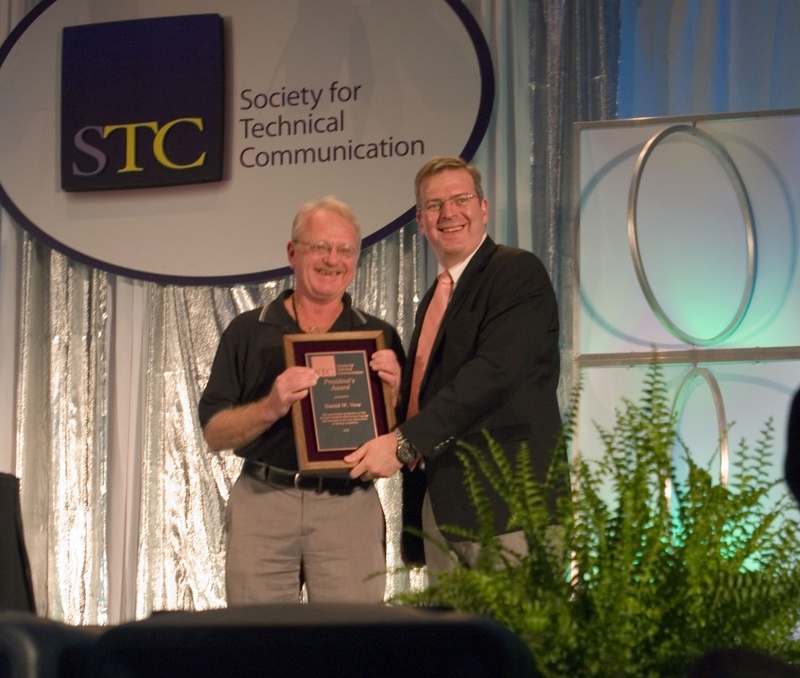 Dan Voss receives the STC President’s Award onstage at the Summit. Other members were recognized in absentia. Two – actually three –leaders were recipients of the Distinguished Chapter Service Award for their contributions at the chapter level. Sarah Baca and Alex Garcia, both newly elected members of the Orlando Administrative Council, were cited for their local work in past years. Distance member Lori Corbett, former Board member and past president in Orlando and Philly Metro, was also recognized. The Orlando Central Florida Chapter kept its impressive string of top recognitions going by again being named a Community of Distinction. Now a seven-time recipient, Orlando likely leads all chapters with the most recognition at this level. The record is even more impressive because it had never been cited for Excellence or Distinction until 12 years ago! Orlando Central Florida stacks up recognition in member and chapter categories. At the Honors Banquet, it’s time for celebration again as the Orlando Central Florida Chapter received a seventh Community of Distinction award. 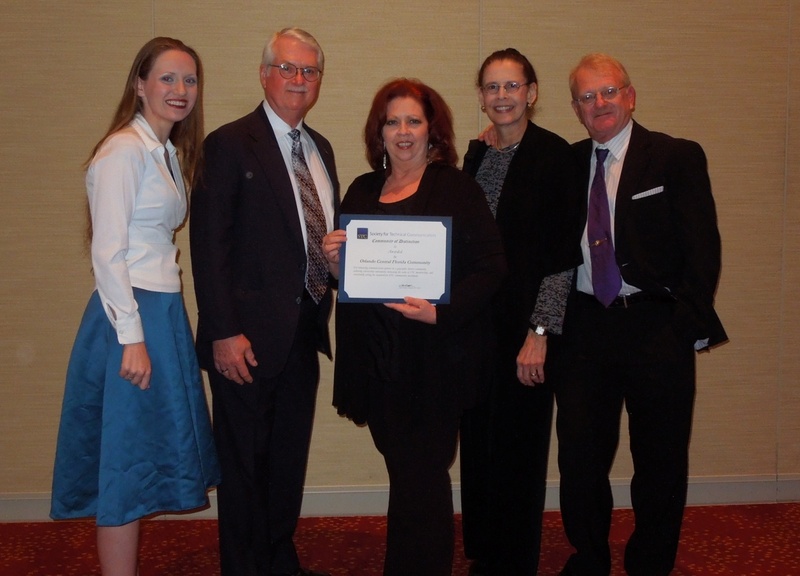 In the moment are Bethany Bowles, W.C. Wiese, Vice President Debra Johnson, President Karen Lane, and Dan Voss. The Spring term has been an exciting time for UCF’s Future Technical Communicators (FTC). We began the semester by hosting the Joint STC-FTC meeting on January 15 and have since planned and participated in a number of other events and projects. For example, FTC officers and members edited the Sigma Tau Delta journal The Rhombus and held two book sales with Sigma Tau Delta to support next year’s activities. FTC has also provided a number of job and internship opportunities for past and present members. FTC members attended the English Department’s Graduation and Awards Celebration on Tuesday, April 23, receiving chips, cake, and certificates for their hard work this semester. FTC President Bethany Bowles received the Outstanding Service Project Award for the Department for her work with the Alumni Newsletter, Vice President Candace Du Lac received the Stuart Omans Award for Excellence in Technical Communication and FTC’s Outstanding Officer Award, and member James Ross received the Outstanding Volunteer Award for his faithful dedication and service to FTC. Representing both FTC and STC’s Orlando Central Florida Chapter, student members Bethany Bowles and Matt Howard also successfully networked at the STC Summit in Atlanta. There, Bethany was honored with the Distinguished Service Award for Students, and she helped corral and direct students from around the world as the Assistant Student Volunteer Coordinator. With two of its officers graduating before the next academic year, FTC has worked hard to find qualified successors, and elections will be held near the end of the summer term. The current slate of candidates is: Cory Bullinger for President, Joe Cummings for Secretary, and Matt Howard for Webmaster/Historian. The Vice President and Treasurer positions still need to be filled, and any UCF undergraduate or graduate student in technical communication who is interested can contact FTC at ucf.ftc@gmail.com. We’re doing things a bit different this month: a two-part issue. May is always a busy month at Orlando Chapter STC, with the Summit and graduations so your administrative council needed a bit of extra time to bring you the quality content you come to expect from Memo to Members. This half of the issue will focus on this Thursday’s May chapter meeting, which includes the Annual Business Meeting, the Melissa Pellegrin Memorial Scholarship presentation, and our monthly technical program. President-Elect Debra Johnson has more details in A View from Number Two. Speaking of elections, I was just elected Chapter Treasurer for the 2013-2014 Chapter Year, so I will need someone to volunteer to take over as Editor of Memo to Members. You must be comfortable with HTML and willing to attend monthly Administrative Council meetings. If interested, contact me at newsletter@stc-orlando.org. The academic year is winding down, and we’re preparing to wrap up the chapter year, which means we have some exciting activities in store for our members and non-member friends. Several chapter leaders just returned from attending the annual Technical Communication Summit held this year in Atlanta. Orlando Central Florida STC Chapter was well represented by chapter vice-president and president-elect, Debra Johnson; Mentoring Committee co-chair Bethany Bowles; Mentoring Committee Chair Dan Voss; Nominating Chair WC Wiese; student member Matt Howard; peripatetic member-at-large Jack Molisani; and me. Those who were there will be giving all of you the opportunity to benefit from our impressions, notes, and handouts when we hold our Washlines XIX meeting on August 22, 2013. More on this later. 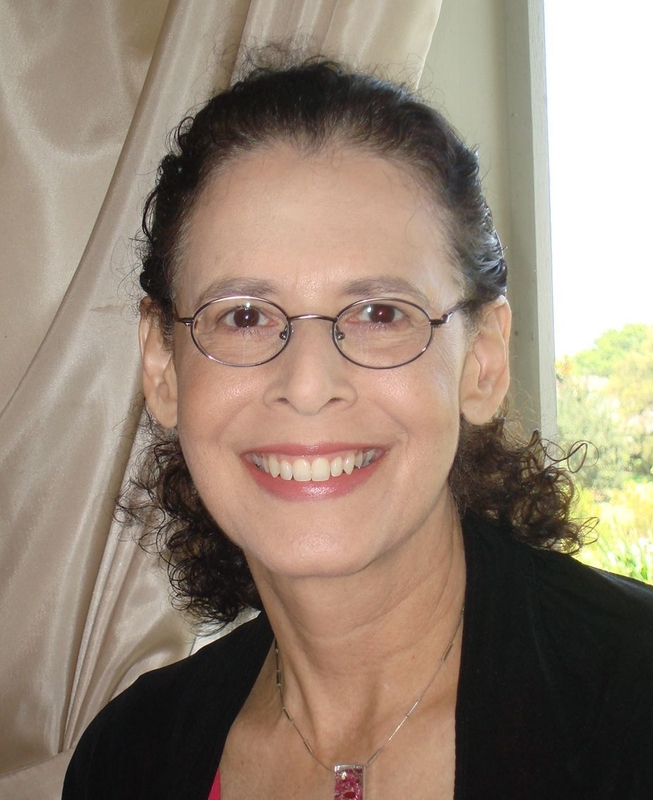 At this coming month’s meeting on May 16, the Orlando Central Florida STC Chapter will be awarding its coveted Mellissa Pellegrin Memorial Scholarships. Two deserving students are receiving these awards, which recognize their academic achievements. Make sure you attend and show your support for the newest generation of technical communicators! Also during our May meeting, we will have our chapter’s Annual Business Meeting. Here is your chance to learn about the health of our chapter and express your views. Please plan to be there—information about time and location appear elsewhere in this issue of Memo to Members. And if the Pellegrin Scholarship and Annual Meeting weren’t enough content for our May meeting, we will also be having an educational program for you on the topic of Project Management and TechComm. Finally, I urge you to share your own news with your colleagues. If you have just started a new job, recently changed jobs, or are looking for a new job, come to our meetings to share with your peers. Don’t forget that chapter meetings are a great way to announce job openings—and to fill them! 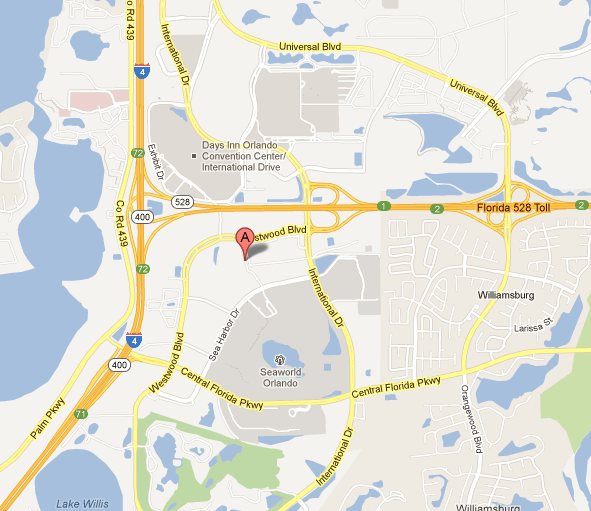 As always, if you have any compliments, complaints, or suggestions, please write to me at president@stc-orlando.org. I am always glad for feedback and look forward to hearing from you. It’s May and the 2013 annual STC Technical Summit is now just a memory! …but what a memory it is! What a whirlwind five days! Jammed packed… this event was full of brain-busting information. I can’t believe how well this summit was tailored solely to my needs…I can’t believe it. I felt so special… LOL. I don’t know how they knew exactly what I needed. Ok, get a grip, Deb …and get back to reality…The five days started with a bang… After I arrived on Friday to my old hometown of Atlanta, I made my way to the Hyatt Regency in downtown. Saturday morning opened for me with Andrea Aames and Alyson Riley’s Strategic Information Architecture Boot Camp where they started immediately with definitions, foundational concepts, best practices, and practical tools I can use to advance my skills in information architecture (IA), Content Strategy and Knowledge Management skills, they transitioned rapidly into the other four key learning objectives… I realized now more than ever, as they said over and over, “content matters.” Alyson and Andrea talked about how companies and organizations are realizing the strategic value of content as a business asset, as well as how important it is to think critically about ways to reduce costs, increase efficiency, and innovate. My goal for the boot camp was to hone my skills as a Strategic Information Architect. I was intent on becoming better at delivering, what my two “drill sergeants” call, “the business value that comes from high-value, highly visible content in exceptional information experiences.” It was an amazing weekend. Sunday night was the welcome reception and then on to Monday, where I attended the recommended sessions that supported the IA theme, the annual business meeting, and welcome reception … I was in heaven. 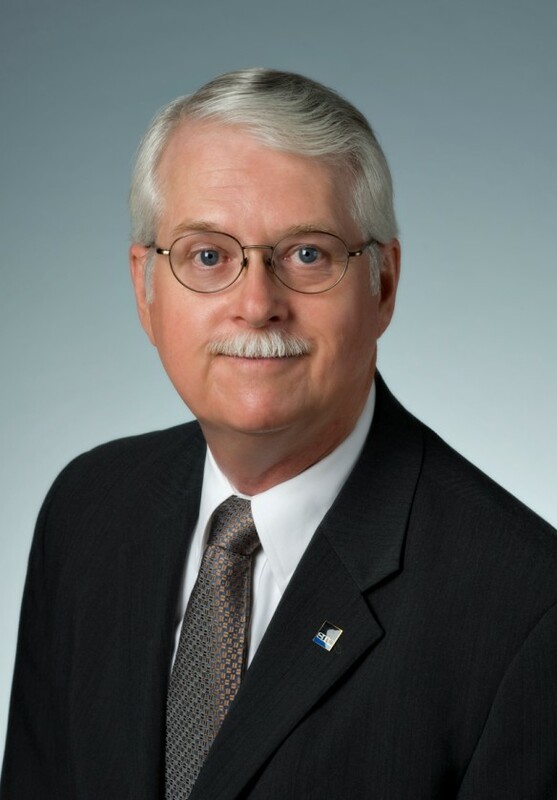 Tuesday brought more sessions and the honors banquet, where our own Dan Voss received the 2013 President’s award for his tireless promotion of the Society’s student mentoring program and his outreach to the next generation of Society members. Icing on the cake was our chapter receiving the Community of Distinction for an 8th time!!!! Can’t wait to share my experiences with you at Washlines XIX in August!!! Don’t forget our May Chapter meeting. It’s all about Project Management! We will also have our annual business meeting, award this year’s Melissa Pellegrin Scholarship in addition to our speaker! It’s our last program meeting for the 2012-2013 year. Next up in June… is the end of the year banquet and installation of the new officers. Program starts promptly at 7:00pm. 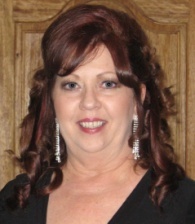 The Melissa Pellegrin Memorial Scholarship Fund will pass a significant milestone at the Orlando Central Florida STC Chapter meeting May 16 with the awarding of the 31st and 32nd scholarships in its 17-year history. The recipients, University of Central Florida undergraduate student Candace Du Lac and UCF graduate student Cory Bullinger, were selected from a highly competitive field by a panel of judges from the Orlando Central Florida STC Chapter. These 2013 scholarships are likely to be the last presented exclusively by the chapter. Thanks to the early fruition of a fundraising initiative and the generosity of corporate and personal donors, future scholarships will be funded primarily from the earnings of an endowed UCF Foundation Fund that will honor Melissa’s memory—and the excellence in technical communication to which Melissa was so passionately committed—in perpetuity. Beginning in 2014, the scholarships will be evaluated and awarded by a selection committee in the UCF English Department. This committee will include faculty members as well as representatives of the Orlando Central Florida STC Chapter. Both of the 2013 recipients are active student members of our chapter as well as of the Future Technical Communicators (FTC) organization at UCF. Both sport impeccable academic credentials. And both impressed the evaluation panel with their knowledge of and commitment to the technical communication profession as reflected in their scholarship application letters. 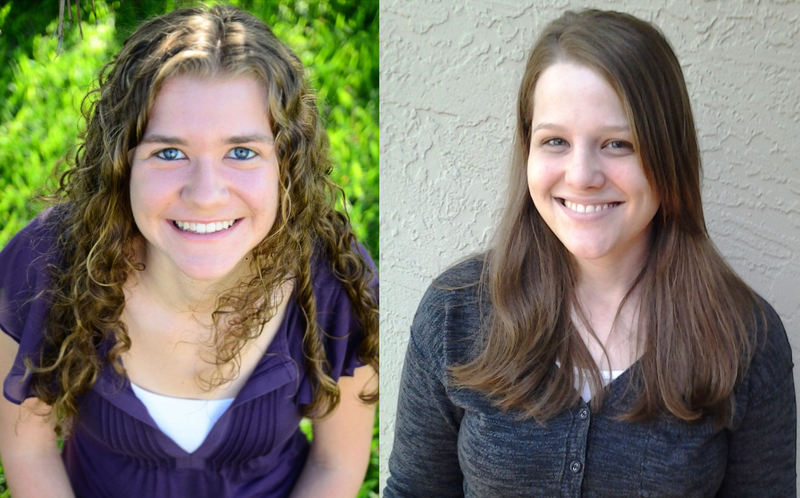 The 31st and 32nd recipients of the Melissa Pellegrin Memorial Scholarship, undergraduate Candace Du Lac (left) and UCF grad student Cory Bullinger epitomize the commitment to excellence in technical communication which the award—now in its 17th year—represents. With the prestigious Pellegrin Award now emblazoned upon their already impressive portfolios, one can foresee nothing but success for our latest two recipients as they embark upon their careers in our profession. Since the scholarship was instituted in 1997 to honor the memory of 1994 UCF graduate and STC chapter member Melissa Pellegrin, 32 scholarships representing an aggregate $12,200 in financial assistance have been bestowed—21 to undergraduate students and 11 to graduate students. To contribute to the Melissa Pellegrin Memorial Scholarship Fund via check, cash, or charge card, contact the Orlando Central Florida STC Chapter treasurer. The current treasurer is Sarah Baca (sbaca@pentaho.com) and the incoming treasurer-elect is Alex Garcia (alex.garcia@lmco.com).